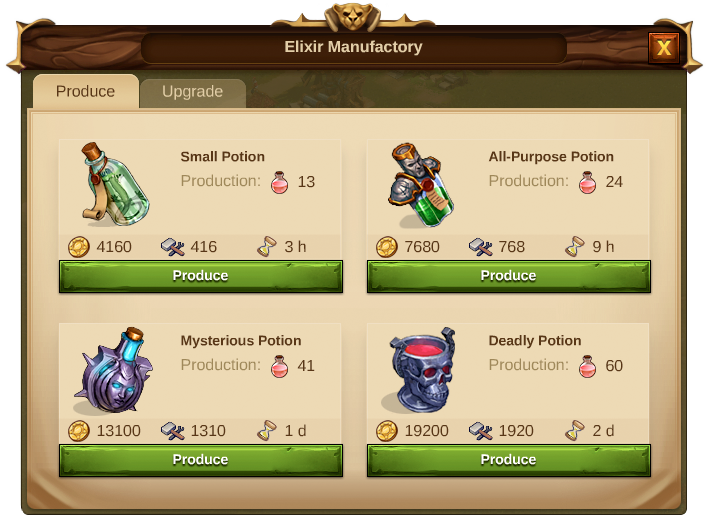 The Elixir Manufactory produces Elixir, which belongs to the "Magical Goods", one of the three categories Goods are grouped into. Producing Goods requires input resources (Coins, Supplies). There are 4 options to start a Goods production, which differ in production time and amount of input and output. While the production is running, you will see its progress through the remaining production time and the current amount of the produced Good. You will know that there is a bonus given from a boost if you see a green arrow on the Goods icon. If you want, you can cancel the production and you will get the input Resources back. Note: Culture Bonus has no impact on Goods production. 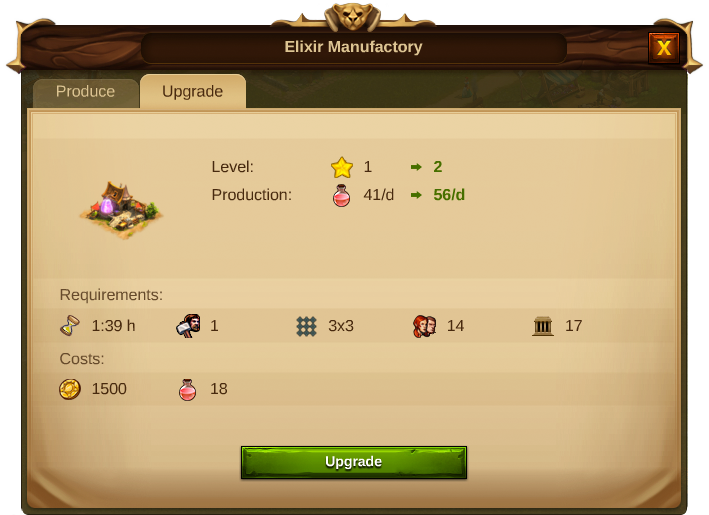 To get an Elixir Manufactory you need to unlock its technology in the Research Tree and build it via the Buildings menu, as long as you have the required resources. It needs a street connection to the Main Hall, it can be sold, rebuilt and upgraded. 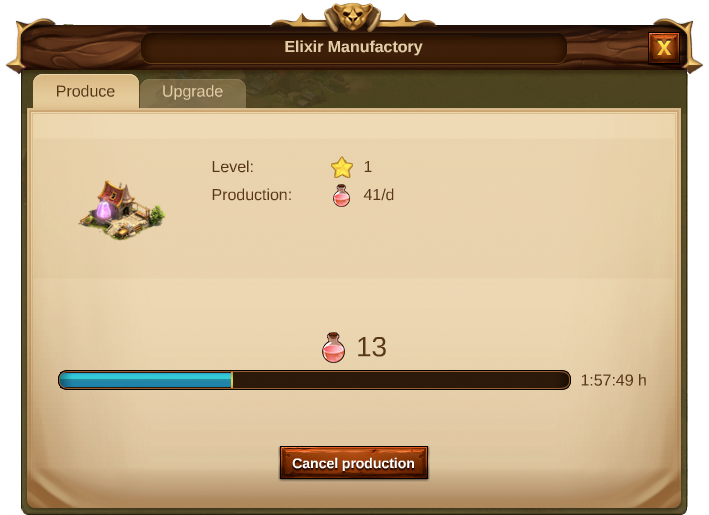 The amount of produced Elixir Goods per time. So, the production will be more efficient! Click on each building level to see a bigger image. This page was last modified on 15 February 2019, at 14:15.